Ahh what a simpler time. When a recently minted ex-President could hop in the car with his wife and take a road trip, unescorted by any security, halfway across the country to visit his daughter and some friends. 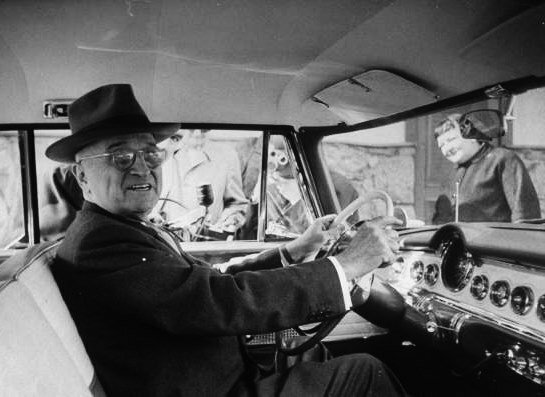 Even though Harry Truman was the target of an assassination attempt while President, back then once you left the White House you truly were a private citizen and could move about unencumbered by security details and an entourage of personal assistants. 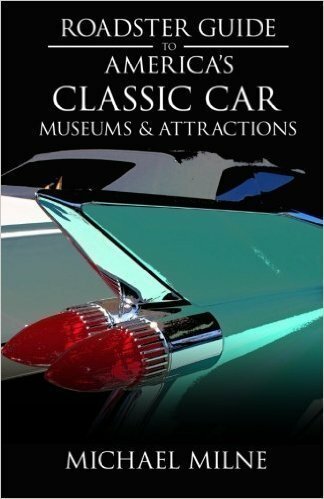 Harry Truman’s Excellent Adventure: The True Story of a Great American Road Trip by Mathew Algeo perfectly captures the 1950s, which was a time before ex-Presidents became money printing machines from speaking fees and board memberships. In fact, Truman was rather poor. He hadn’t been in the Army long enough to claim a military pension and his Senate career was cut short to become Roosevelt’s Vice President so he missed out on that pension too. What a far cry from today when even a single term as a United States Senator guarantees a lobbying income for life. The author retraced the trip himself, staying at some of the same hotels and eating at the same restaurants. He even met a few people who interacted with the Trumans along the way, including a police officer who stopped the couple for driving too slowly. Harry, who was a car buff and notorious speeder, had to agree to Bess’ rule that they obey the posted speed limit. Although Truman left office with a 22% approval rating, people were eager to meet him and give him well wishes. He made a triumphant return to Washington where the press asked him for his impressions of the Eisenhower administration. Normally never one to mince words, Truman didn’t feel it was his place to judge the new president. Again, it was a simpler time. You can find Harry Truman’s Excellent Adventure on Amazon.